Writing for The Detail, Florence-based academic Brigid Laffan looks at lessons for the UK ahead of October's EU Council meeting. Juno and the Paycock is set in Dublin in 1922 when Ireland was in the throes of a bitter civil war that left scars on the Irish polity for decades. The UK today is immersed in a bitter home-grown conflict; in the words of Sean O’Casey the UK is "in a terrible state o' chassis". Internally, it is divided by region, socio-economic status and age. The infrastructure of politics is riven by conflict. Externally, the UK is unsure of its role and place in the world beyond the slogan 'Global Britain'. This outcome was the inevitable result of how the UK Government opted to address the predictable complexity of leaving the EU. Deciding to untie the sinews and ligaments of deep interdependence, as an advanced economy in the 21st century, was and remains an experiment in transforming governance and policy across almost all areas of public power. None of this is easy. Leaving the EU could never be like opening and closing a door, the image that seems to resonate with UK citizens when asked on the streets. It is a matter of fundamental geo-politics and geo-economics. Leaving the EU is fiendishly technical because the EU has built up a formidable governance capacity since its inception. Exit requires the departing state to face up to the trade-offs, and the costs and consequences of leaving. This is challenging as any departing state would like to hold onto the bits of the system that it values and it is psychologically difficult to understand what being a ‘third country’ means while still a member state. A number of contextual factors serve to mire the UK’s Brexit strategy in a sticky vat of treacle. The first and most serious is the intersection of two questions that have bedevilled UK politics for a very long time, namely the ‘European Question’ and the ‘Irish Question’. The UK although influential was never entirely at ease as a member state; its strategy in the 1950s was to prevent the emergence of the EEC with a European wide free trade area. When that failed, following a detour via EFTA [European Free Trade Association], the UK applied to join but always sought opt-outs. Now it wants to leave but have a ‘deep and special relationship’ which may be translated as a desire for ‘opt-ins’ rather than ‘opt-outs’. The UK wants a bespoke deal, which is a continuation of the exceptionalism that characterised its membership. The EU27 are largely willing and ready to develop a ‘deep and special’ relationship with the UK but not just any relationship and certainly not one that asks the EU to fundamentally alter how it does its business. Lesson number one: when a state opts for exit it is negotiating from a relatively weak position. It does not get to dictate terms. If the UK did not have a land border on the island of Ireland the Brexit treacle would be less sticky. On the Irish border, the problem is not one of objective - all parties share a commitment to no hard border but remain deeply divided on how to achieve this. Securing an agreed outcome on how to prevent a hard border is an EU requirement for the withdrawal treaty. It is so because Ireland, as an EU state, has persuaded its partners of the merits of its stance on this question. All governments and foreign ministries across the EU27 are fully briefed on the Good Friday Agreement and the border issue and the Brexit Task Force has been given responsibility for securing this. Support for the Irish position has been rock solid from the other 27 states and this is unlikely to shift. Prime Minister Theresa May’s assertion to the President of the European Council, Donald Tusk, that the UK was a much more important country than Ireland carries little weight. Lesson number two: small states with a seat at the table leverage more power than a larger departing state. So how to sort out the backstop? The EU strategy as evident in the proposed protocol is to keep Northern Ireland in the EU customs and regulatory sphere, which has met with a blanket no from the UK. In response to this, the Article 50 Taskforce has tried to de-dramatize the issue by doing a forensic analysis of all checks that are needed to protect the EU single market and to work out a plan for where and how these might be done. This is the kind of technical work that the EU is hardwired to master. The UK government has failed to engage with this process, delaying the transmission of data to the EU on flows between GB and Northern Ireland for many weeks. 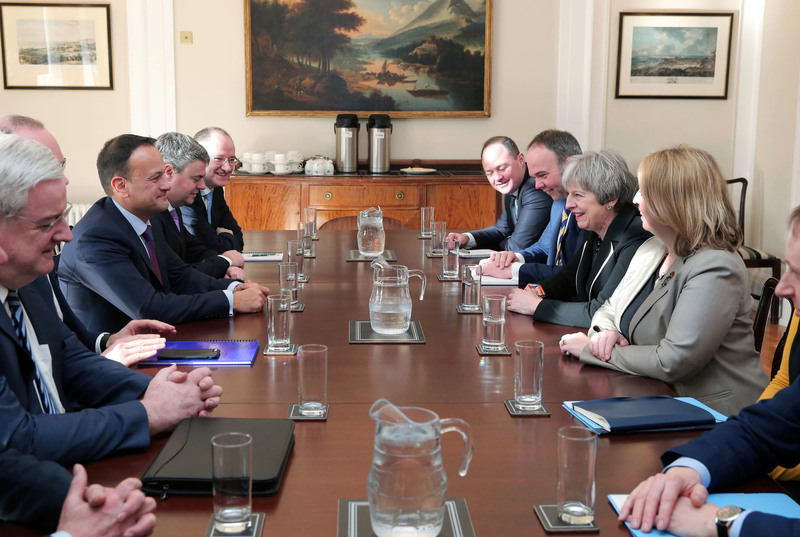 Then on Friday in Salzburg, PM May informed Taoiseach Leo Varadkar that the UK proposals on the backstop would not be ready for October's European Council. The UK Government has had nine months since the joint report to come up with its specific proposals for the backstop, which it agrees is necessary. PM May has to face up to the incompatibility of her preferences on Brexit. She cannot have it all and if she wants a Withdrawal Agreement, she has to face up to the border issue while remaining dependent on the DUP for the survival of her government. The danger is that when the UK government’s border proposals are finally published, they will not give the EU and the Irish government sufficient assurance. So between now and December, unless there is an agreed backstop, the UK will leave the EU next year with no deal. Lesson number three: a country should do serious due diligence before it embarks on a living experiment; triggering Article 50 without doing this was a dereliction of responsibility. The Salzburg European Council last week was where the UK Brexit strategy was dragged down into the vat of treacle. The UK was told that the Chequers proposals dealing with the economy would not work and that the backstop was an essential part of the Withdrawal Agreement. Defiant words from PM May aside, the Brexit negotiations are entering their most important and challenging time. Unless there are serious negotiations about the backstop beginning this week, there will be no withdrawal agreement and no declaration on the future relationship. This would leave the UK and EU27 to deal with the fall-out of a no deal and all that it would bring. As for the damage to British-Irish relations - it would have immediate, but let’s hope not terrible, consequences.